Want to understand what is going on in Brazil? 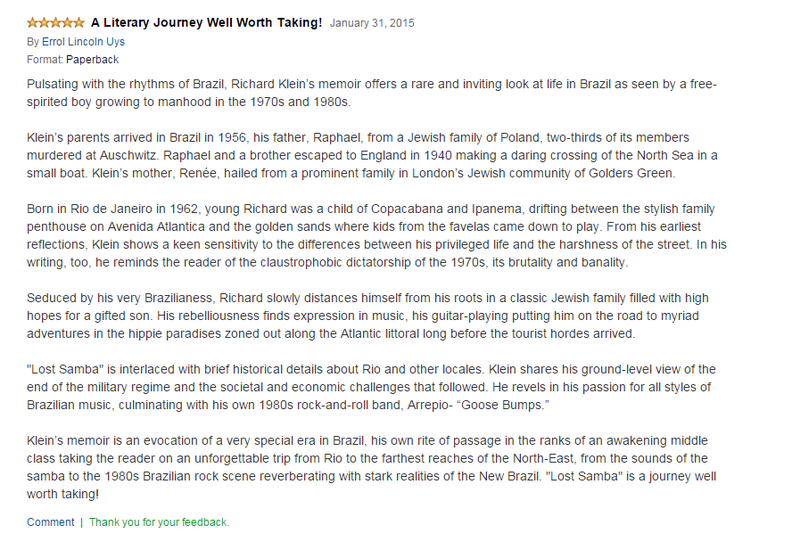 I am thrilled to have received the review above from Errol Lys, the author of BRAZIL, arguably the best book a non-Brazilian has ever written on Brazil. It must be strange for people who are used to see Brazilians as a smiley and youthful nation, proud of its country’s sporting exploits, to learn that most of them are hating to host the Olympics and the World Cup. While the costs are astronomical and no one knows for sure who actually benefits from these soulless mega-events centred on big business, very few countries get the privilege of hosting them and doing so usually is a matter of big national pride. Brazil seems to be an exception, and the question that comes to mind is why. Ask the average Brazilian and he will give you the standard answer: The anger is because the government decided to throw money on these useless events instead of investing in hospitals, schools and infrastructure. You will also hear accusations of corruption together with some strange complaints about the ruling Workers Party’s (PT) programs for instituting financial help packages for poor families who send their children to school and for allowing Cuban doctors in the country to work in areas where urban middle class doctors refuse to go. What also will strike as strange is that the discontent took years to surface and that the apparent lack of investment in infrastructure has been happening since the 1970’s and only now have Brazilians awakened to this fact. However, whoever bothers to study the numbers closer will be surprised at what they reveal. The 8 Billion Reais ( 3.6 billion US dollars ) spent of the construction of stadiums is tiny when compared with the 825 Billion Reais spent in the health system since the works began while the investment in education only in 2014 is predicted to be 115 Billion Reais. This is without taking into consideration that there will be a return on the investment in the both mega events, not only with the selling of tickets and with tourism but also in jobs and in the construction of infrastructure related to the events and the rippling effect that economic activities always have. Havinf got this out of the way, the question remais, where does this anger come from? Ask an angry Brazilian if he would be happy if the Olympics and the World Cup would happen under another government and he will most probably say yes. He will also say probably say that, as a matter of principal, he has nothing against these mega-events taking in his country; what he doesn’t like is the government that is handling it nor the way it is doing it. Which kind of government would he like instead? Not sure, but definitely not this hateful PT one. Based on the above, we can say with a degree of certainty that the problem is with the Government and not with the events per se. If this is so, we have to ask ourselves what is so evil in the ruling party that makes people take the streets, and almost dedicate their lives on a political crusade against it? Corruption? Well… this has been a national institution for at least the past eight decades, and is due to the way the Brazilian economy works. The engineer of this mechanism was the dictator Getulio Vargas who started ruling Brazil in the 1930’s, and who stayed in power for more than twenty years. His strategy was to set up a strong interventionist government that would support the country’s development together with local capital. Simply put, this means that the government would come up with big projects such as setting up oil companies, constructing roads, building hydroelectric plants, ports etc… which would open opportunities for Brazilian and sometimes for international investors as well as generate jobs and stimulate the economy as a whole. In broad line this is similar to the American President Roosevelt’s New Deal and to the Marshall plan in post-war Europe. This all sounds great in paper, and Vargas set it up with the best of intentions, but the system would generate unlimited possibilities for corruption. The reason for this is that the result is that the most important economic deals in Brazil are related to the government and who is heading it makes a huge difference in terms of which project will go ahead and who benefit from the, ultimately who will get rich and who will not. It is important to remember this and that although the PT is a left wing government and defends state intervention, this system was in place long before it ever ruled Brazil. Some people will also blame the police brutality, not only towards the protesters but also, and mainly, towards the poor population on a daily basis. The police is there to serve the state so, according to this way of thinking; the exaggerated use of force would reflect the willingness of the PT to transform itself in a left wing dictatorship. This is worthwhile examining; the brutality of the Brazilian police dates from before the PT’s ascension to power, actually of its older members experienced this brutality when they were in the opposition. The public security forces’ ethos is an inheritance of Brazil’s slavery past and has traditionally been brutal. Also, with the exception of the elite Federal Police, they are under the control of local governments. In this context, they are almost self-serving organizations with a history of protecting the local powerful, and that are very hard to control from the outside. In fact, their greatest fear is being supervised by outsiders who could make them respond for their excesses, or at least limit them. As a corporation, they are by no means immune from corruption and tackling them is a touchy business that any government is the world tries to avoid. In any case, it is very hard to sustain that the interests of the police and of the PT are the same, and it would be insane to suppose that the Brazilian police would collaborate in installing a Left Wing dictatorship in the country. The strongest argument against the Government is that it is using both the Olympics and the World Cup as a political card. There is an undeniable truth in this, but we point out that any political party in the world would. If things go well the opposition will look stupid and Dilma’s popularity will be restored. We do not hear this accusation so much because the opposition is using these mega events as much as they can to do anti-PT propaganda. They are actually using all the weight they can to promote an anti-Government crusade that now resembles a public lynching. The attacks are constant in almost all the media, social media included, and are vicious. 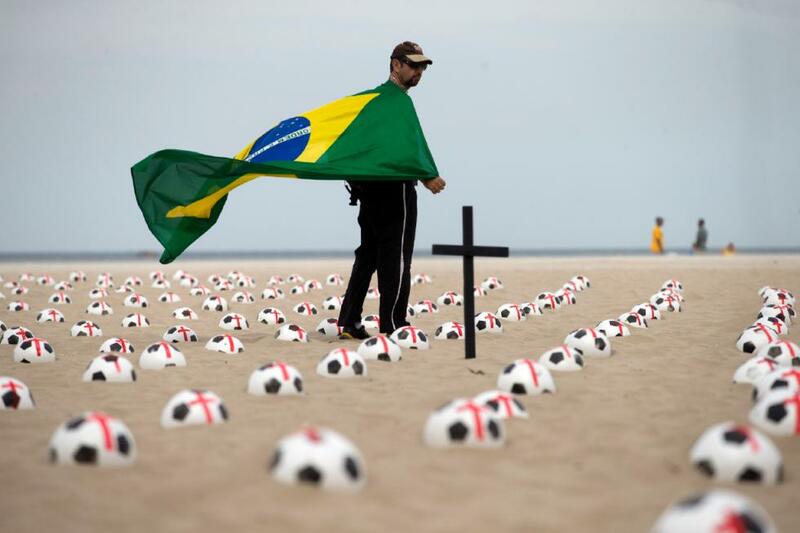 There is a war going on against the World Cup and the Olympics. The opposition is frustrated in realizing that the Government has absorbed most of the punches and is still set to win the upcoming elections despite the economic downturn and all the PR efforts against it. This discontent has set a wide portion of the Brazilian society to want these two mega-events to fail. They prefer the country to look bad in the eyes of the world and investors to run away, rather than to give support to a government that may damage some of their private interests. This reminds us of the story of the genie who comes up to a man and says. “Tell me what you desire and it will be yours, but bear in mind that your enemy will have double”, the man responds “Take out one of my eyes”. So what is it in this government that they dislike so much? It is our view that what angers the middle class is that after more than ten years in the government the ruling party has privileged the poor rather than business. This is serious, as it was the more instructed Brazilians who put the PT in power and not the lower classes. These voters feel entitled to policies in their favour. While there has been an undeniable improvement in the standards of living of the poorest segments, in many cases over-taxation has made the middle class see their standards of living lower. One issue that is emblematic of this anger is that now households must treat domestic workers as office workers and must pay regular taxes to employ them. As in most countries under left wing governments, people are paying high taxes but are not seeing this money return to them in services or any other benefits. The construction of big stadiums and the hosting of big events has been an easy target to catalyze this anger. For us there are deeper layers to this war on the Olympics and on the World Cup. Internationally this is a moment of great changes. We have seen the US and its allies fail to impress the world with their invasion of Iraq and their intervention in Afghanistan. Although they have moved away from their failed tactics of direct intervention, it seems obvious to us that they have tried to cling on to their receding supremacy by using indirect pressure. By this we mean that they have incited and made allegiances with locals to carry out their strategies. 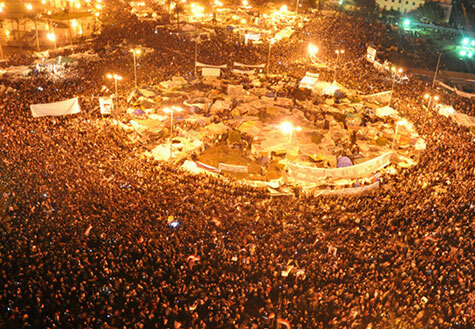 The recent examples are plenty, some with happy endings and others with tragic consequences: Libya, Tunisia, Turkey, Syria, Iran, Egypt, Ukraine, Venezuela… What all of these countries had in common was the threat of abandoning the American “mentoring” and ended up having “spontaneous” uprisings, which were supposed to be sympathetic to the Western dominance. In a time when Brazil has abdicated its status of being one of the darlings of global investors to become closer to emerging Russia and China via the BRICS, it would be reasonable to expect that the West would react. Brazil is by no means an insignificant country and its success or its failure, the paths it chooses, will affect the world’s power brokerage and relevant on how the international economic machinery develops. It is reasonable to believe that it would not only be the Brazilian political opposition who would benefit from a possible failure in the two biggest sporting events in the World? In its quest to “deliver the goods” Brazil has two unlikely allies FIFA and the IOC. Both of these organizations are aware that over-commercialization is turning their events dull and are making a great effort to maintain a business as usual approach for the events to be a success. The IOC has already threatened to make the next Olympics in London, which is highly improbable, but FIFA is the one who has more to lose, if a world cup in Brazil, the country of football, is a flop they will not be able to do much to keep the audiences for the next one. All in all, the heated debate on the advantages of a state administered economy versus one ruled by “business” that will happen in Brazil during the interlude of FIFA’s World Cup and the 2016 Rio de Janeiro Olympics promises to be more interesting than what will happen inside the stadiums. Whoever dares to break all the neo-liberal, and middle class taboos and ventures to read Karl Marx’s Communist Manifesto will ask himself if this is not a post that some blogger wrote one month ago. He will also start to understand why for one hundred and fifty years the words on those pages have been the greatest fear of our “beloved” bankers, industry leaders and heads of state in the Western World. The one reason for the fear over that text is that it has made perfect sense for a century and a half; Marx’s critique is precise and undeniable and reality keeps on confirming his views. Needless to say, as Christians in the Roman times, the powers of the day have thrown many people to the lions for embracing this forbidden belief. Before we continue, in order to rebuke the usual attacks, we will have to point out that what existed in the Soviet Union and behind the “Iron Curtain” was not communism. They saw themselves as societies working towards communism; and most ended up as flawed attempts to reach a utopic state of social equality. It is also worthwhile pointing out that they were as flawed as the western attempts to create their utopia; general contentment and optimization of resources through the “invisible hand” of the Market. The tendency of Capitalism to create crisis: In their need to reduce costs, companies, investors etc… drive down salaries, cut down their workforce to a point where there this affects the consumer market because there is no one left to consume. Even in the best days they come up with schemes to induce more consumption such as credit, but when this money turns into debt it only worsens the crisis in the cycle. The creation of absurd consumerist desires: to keep the machine alive capitalism induces people to consume industrialized and technological “monstrosities” with absurd values. They become carrots on sticks for the workforce to dedicate their lives to. The examples are out there in abundance; Ferrari’s, the latest iPhones, the latest kindles, overpriced coffee Houses, overpriced holiday locations, the list is long. Tendency towards Monopoly: the logic of maximizing profits and leaving the regulation of the economy to competition leads to the big sharks eating all the other fish in the pond. One doesn’t need to go far to see small stores, small software companies, small everything almost disappearing while, as the economy recovers, it is the big guys who have managed to survive and now are having greater profits than ever. Low wages and high profits: The essence of Capitalism is to create an “army” of workers who only have their workforce to put on the table when it comes to making a living. The people who do have the means employ them try to pay as little as they can to obtain as much profit as they can. They do this not because they are evil; it is just the logic of the system, if they do not, some ruthless competitor will end up forcing them out of business. There are many other points that the article could have added, the main one being the founding stone of Marx’s thought: placing profit as the central motor of a society will never work. Contrary to what Wall Street, the City and their lackeys say, greed is a very bad policy maker, simply because it is self-serving. One does not need to be a rocket scientist to figure out that if you allow big profit oriented conglomerates to drive politics they will act in no one else’s interest but their own. One just needs to look at the trillionaire Bank bailouts in 2008 and their current “social responsibility” to understand why. 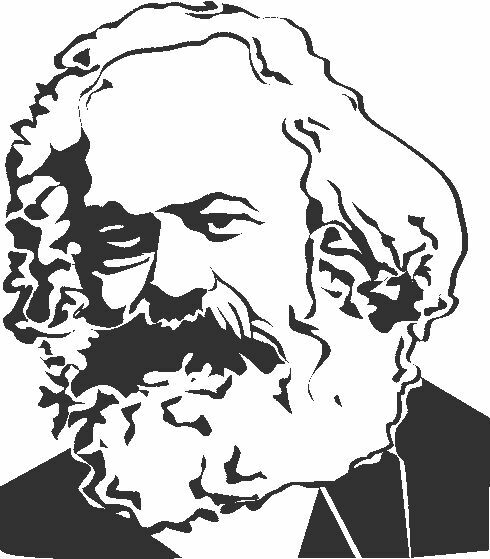 Until now, we have only seen where Marx went right, where did he go wrong? The problem lies in his solutions. Actually, not in his solutions but in his lack of proposals. This is where both Marxist radicals and hysterical anti-Marxists fall into a realm of mystification and lack of understanding. Throughout his work except for some rare opinions and hints, he never really stopped to write about how a communist state would be nor how humanity would ever get there. As we all know, his opinion was that communism is an inevitable state that we will all end up in, regardless of the route we choose. For him, communism is a utopian state of affairs where the means of production will be aimed at the community (hence the name) and not at private profit. Again, we have to mention that the mainstream theories also have their own utopia where, if left to their own devices, the selfish agents of the economy will optimize the resources available to humankind and will create generalized wealth in the most optimized way possible. Both utopias stem out of the Judeo-Christian-Muslim messianic belief that history has a goal. For both, intelligence or the God-like qualities blown by the Almighty into mud to create Adam will eventually flower into a world of mutual understanding that will be fair for all. This is a very powerful concept that has kept not only religions, but the entire political debate alive. For Marxists, the good days will come through a revolution, for the Monetarists they will come through the general acceptance of the Market, for the Christians they will come through the universal acceptance of Christ, for the Muslims through the universal acceptance of the prophet and for the Jews through the coming of the Messiah. There are different versions and for each of these myths but they are all saying the same thing. It is our opinion that Marxism is the latest step of the utopian tradition, it is a natural follow up to the revolutionary Christian concept of the holy Ghost: forget all dogma, forget the laws, get along with each other and create something sacred. The problem here, as with all other Messianic views is that it privileges the future rather than the present. Our opinion is that he nailed the issue; the key is the here and the now, not the future not the past. The possibility for change comes to us every day and in every situation and it comes from within, it lies in the way we relate to each other, it lies is in doing the right thing, it stems from the courage of standing up against what is wrong. If people see themselves personally responsible for improving the world and their lives things can change. We all know deep inside what is wrong and it is within our reach to change them. This is not about a takeover revolution with parties, armies and new leaders but about an enormous pressure on the institutions where we work, on the organizations who make products that are vital for us, on what the state gives back to us as tax payers and on the way we relate to each other. This is about ending the “us and them” stalemate, a macro revolution based on an infinitude of micro revolutions. Sometimes the internet surprises us. We tried to search a site about Brazilian culture in English and found out that there were very few written by non-Brazilians. There was one heart warming exception: bossanovamusic.com. 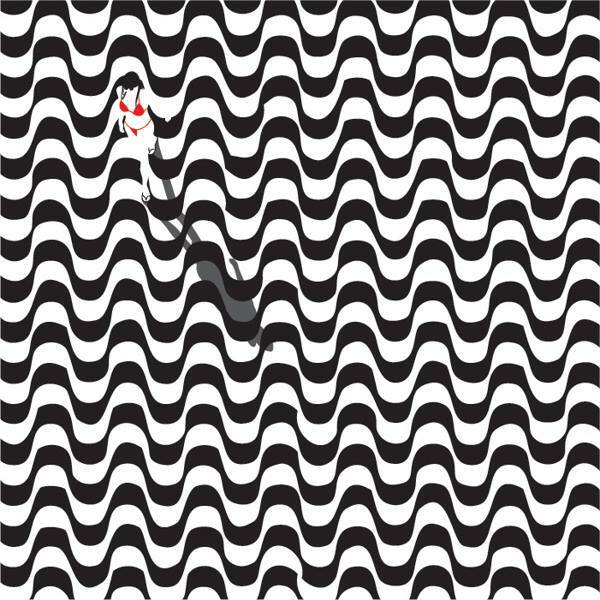 As the name suggests this is a site dedicated to our favorit style of music. We were happy to find a passionate account of the history of Bossa Nova, articles about its main exponents, interviews with Bossa Nova artists, excerpts of news about Bossa Nova throughout the world, reviews on albums and on related publications, everything done with great quality and care. 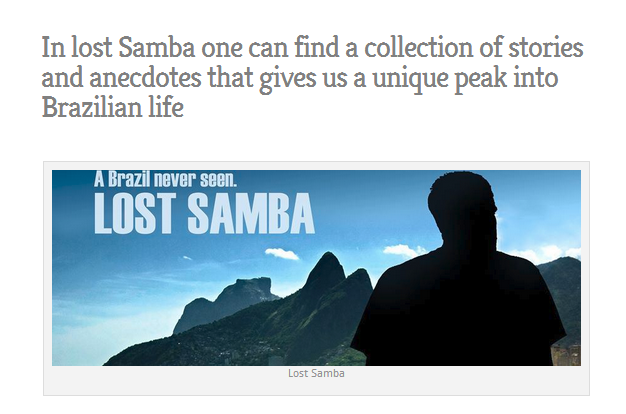 Their site is a sister, or brother, of Lost Samba, in their passion and in taking it upon themselves to promote Brazilian culture in the English-speaking world. Bossanovamusic is an indispensable resource to anyone who wants to know more about the magic of artists like Tom Jobim, Vinicius de Moraes and Joao Gilberto. We thoroughly recommend it. The clue is in the title (no, this is not BuzzFeed). If I am right on most of this, I will use my bragging rights until you’re sick of me. If not, well, I can always say Brazil is difficult to predict. Most of this is somehow in previous posts. 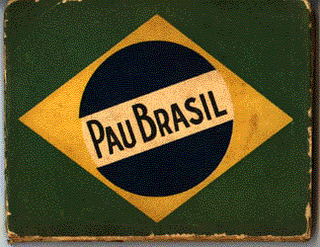 14 – Brazil will stall a free trade agreement between Mercosur and the European Union. It is election year here and in 2015 it will be Argentina’s turn. Venezuela isn’t very thrilled with the idea. Uruguay and Paraguay matter too little in trade terms to do anything on their own. 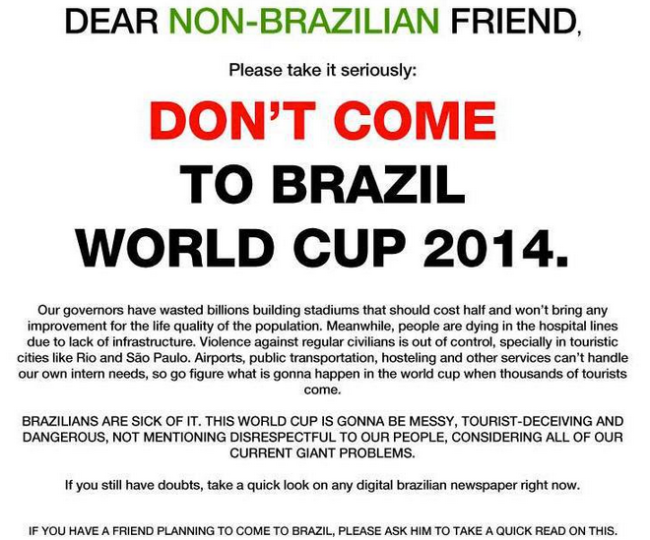 So no need to rush, Brazilians will argue. Unless President Dilma Rousseff sees better terms, she will keep the conversation rolling and that will be it.